The Aussie speedster, Brett Lee has said that there is a possibility of him not bowling for ever in the Cricketing field as he has to recover from his elbow injury. He said that he would consult Punter Ponting about his retirement. He said this after the coach Tim Nelsen quoted that he might not get a chance to play again wearing the greens. He is in this rehabilitation camp recovering from his injury but says he is not sure of playing again. “As far as my cricket goes, anything is possible. You can read into it what you want, but I may play one-dayers, or no cricket at all,” said Lee, who has taken 310 Test wickets and 324 one-day scalps. “I may never bowl another ball again, and if that’s the case I’m so satisfied with my career and my longevity. I’m not saying it’s definitely over, but I’m not sure what I want to be just yet. To be perfectly honest, I’m not sure what I still want to do at this point in my cricketing life. I need to get to the stage where, if I want to, I can do what I need to do on the field,” he added. “If it’s the case that I don’t play again, well that’s the case. There is a part of me that would like to play some sort of cricket again. But what kind of cricket that is, I don’t know,” he said. After the Lankan Ship, now its India’s ship of injuries! Yes, First it was the Sri Lankans to suffer many blows when they toured India and Bangladesh. Many important players were ruled out. Now its India’s turn. It started with S Sreesanth who had a hamstring injury and was forced to go back to India after playing the first test. 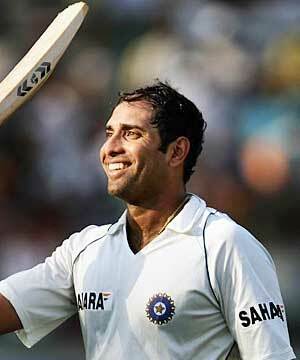 Next, was Laxman who too played the first test is now suffering from a left hand webbing. But, he is still with the team in Bangladesh. Rahul Dravid had a mighty blow by a bouncer in the second test’s Day two. He was admitted to ICU after fracturing his Jaw. He will return to India. Yuvraj Singh too was ruled out of the of the ongoing test match who had a ligament tear in his wrist forcing him not to play in the match. Yuvraj too is with the team. Out of the 16 players who toured Bangladesh for test series, 4 of the are ruled out with injures. Rahul Dravid and Yuvraj Singh were ruled out during the match forcing India to play with 9 players and 2 substitutes. Indian Middle Order Batsman, Rahul Dravid has been admitted in ICU in the Dhaka Hospital. Rahul Dravid retired hurt after being struck by a bouncer from Shahadat Hossain fracturing his jaw. Tendulkar and Dravid put on a huge partnership for the 3rd wicket. Tendulkar’s hundred arrived off 134 balls, with Dravid following suit from 178 deliveries – the 29th time he had reached three figures in a Test. They were eventually separated when Shahadat, armed with the second new ball, stunned Dravid with a well-directed bouncer which struck him on the flap protecting his left ear and forced him to return to the dressing room. India managed a 220+ lead with Dravid and The Maestro out scoring everyone. Tendulkar soon fell to Shakib as India lost five wickets in the process. But sadly, for India, in form Rahul Dravid will fly back home tomorrow and will miss cricket for about 3 months. After a superb innings against Gujrat, Rohit Sharma has found himself to get a place in the Indian side again. Rohit Sharma the T20 master was dropped from the Indian side due to lack of performance. But with Yuvraj’s injury he finds himself in. But it is not sure that he will play the match as there is Kohli instead of Yuvraj. So Rohit is just a back up. Maybe he may get a game. Who knows.??? After recovering from an injury, The Price Yuvraj played the third ODI. He almost was in his mood but got out. Now with Dhoni out of the series, Yuvraj was the experience in the middle order for the Indians. But that is gone now. Yuvraj Singh has been ruled out the one day series with a finger injury. Yuvraj who missed the first two ODIs due to an injury from the second T20 played in the 2rd match held in Cuttack where India won by 7 wickets. Yuvraj Singh may miss the on going tour of Bangladesh where India is to play a tri- series with Bangladesh and Lanka. In form all rounder Angelo Mathews suffered and injury in the last match while batting but went on to win the match for Lanka has been sent back home dude to the injury. The King of T20, Yuvraj Singh will miss the second ODI in Nagpur tomorrow. Yuvraj Singh missed the first ODI because he was suffering from a finger injury. He is not missing the second mantch due to finger injury but he is left out with a flu(i mean it is not swine flu but just a flu). Meanwhile Dhoni is confident after looking the path that it will be a high scoring one. Fast bowler Dilhara Randi Fernando has been ruled out of the one day series against India because of a finger injury. Murali and Fernando will fly back to Lanka today or tommorow. Dilhara Fernando injured his finger in yesterday’s match while attempting to take Manhendra Dhoni’s Catch. Both of the injured player will be replaced by Muthumudalige Pushpakumara and Suraj Randiv, for the rest of the series. Sri Lanka are due to play a tri-series with India and Bangladesh in Dhaka from January 4–13. LETS SEE ON 18th MATCH. ‘The spinning assasin’ Muralidharan has been ruled out of the India series after undergoing a test and confirmed his finger injury. He will fly back home today. Due to his injury, Murali had also been ruled out of the two Twenty20 International games at Nagpur and Mohali and the first ODI in Rajkot. Murali Ruled of the One day series.